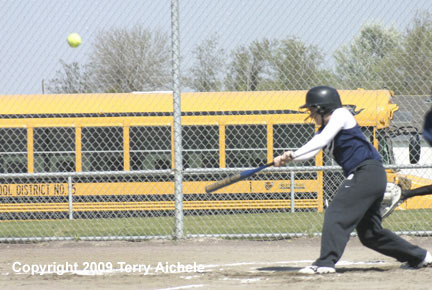 Irrigon won 10-0 and 19-2 both under the ten run rule. 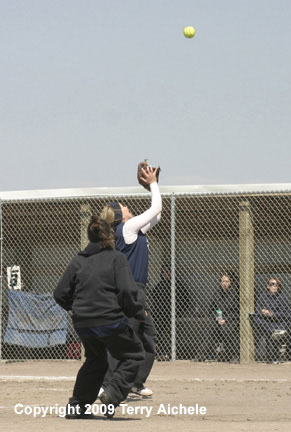 IRRIGON - The Irrigon Knights swept the Echo Cougars in doubleheader softball action on Saturday, April 25, 2009. 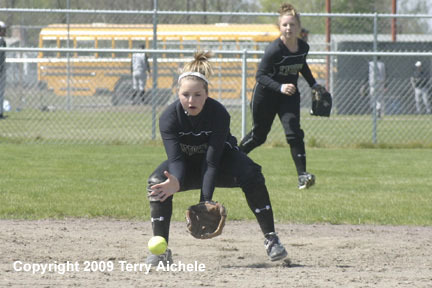 Irrigon won the first game 10-0 and the second game 19-2 under the ten run rule. 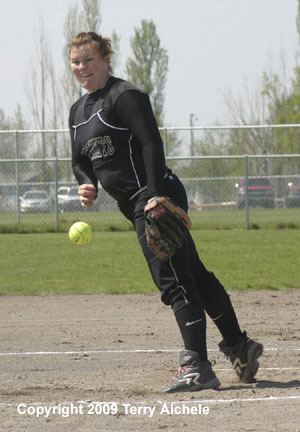 Noelle Wright pitched both game for the Knights and set a dominent tone in both games. The Knights took an early 4-0 lead by the end of the second inning. 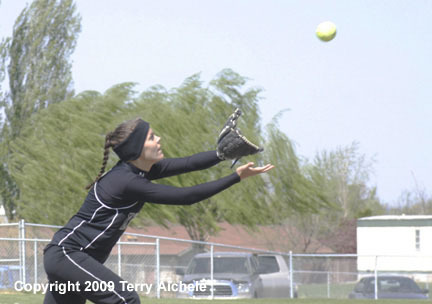 Irrigon then had a tremendous run in the bottom of the fourth inning scoring six runs. Kim Campos hit to centerfield bringing in Ariel Schoik from third base to give Irrigon the 5-0 lead. Then Noelle Wright scored on a pass ball for a 6-0 lead. The bases were loaded when Breena Tolar smashed a hit to leftfield driving in Kim Campos and Alisha Mejor and giving Irrigon the 8-0 lead. Then Nene Henrichs hit to centerfield bringing in Staci Stanger and Breena Tolar giving Irrigon the 10-0 lead. 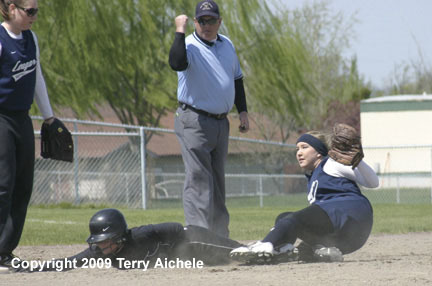 Echo couldn't score in the top of the fifth so Irrigon took the ten run rule win 10-0. Echo started the top of the first with Alyssa Sobotta scoring on a Shilah Hilliard hit to centerfield to take a 1-0 lead. In the bottom of the first Kim Campos drove in Noelle Wright from second on hit to short right field. That tied it up at 1-1. 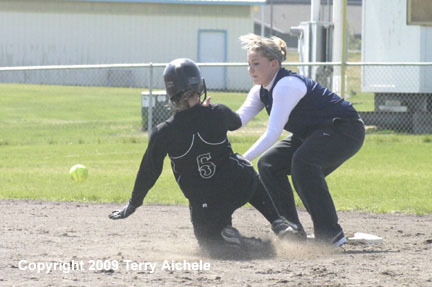 Then Irrigon had the bases leaded when Staci Stanger walked forcing in Leslie Coffman. Next up Cheyenne McKenney was hit by a pitch forcing in Kim Campos. That gave Irrigon the 3-1 lead. Alisha Mejor then scored from third base on a pass ball. Nene Henrichs hit a bouncer that drove in Stanger giving Irrigon the 5-1 lead. Schoik then hit a shot to left field bringing in McKenney. Wright was walked forcing in Tolar. Next Coffman walked forcing in Henrichs. When the first inning was done Irrigon led 8-1. Echo couldn't get any offense going in the top of the second. Irrigon scored early in the bottom of the second when Stanger hit to left field scoring Mejor to give Irrigon the 9-1 lead. 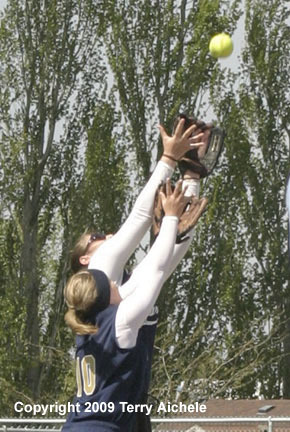 Echo scored in the top of the third when Shilah Hilliard bunted bringing in Katie Primmer. That closed the gap to 9-3. 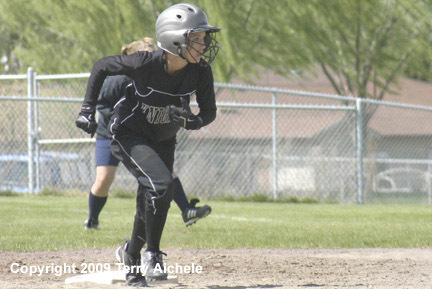 Irrigon scored one run in the bottom of the third when Coffman scored on a pass ball to give the Knights 10-2.